I woke up at 7.30am this morning (it’s a Sunday I should be sleeping in!) so I headed to my craft cave to enter a couple of challenges I found last night before I went to bed. 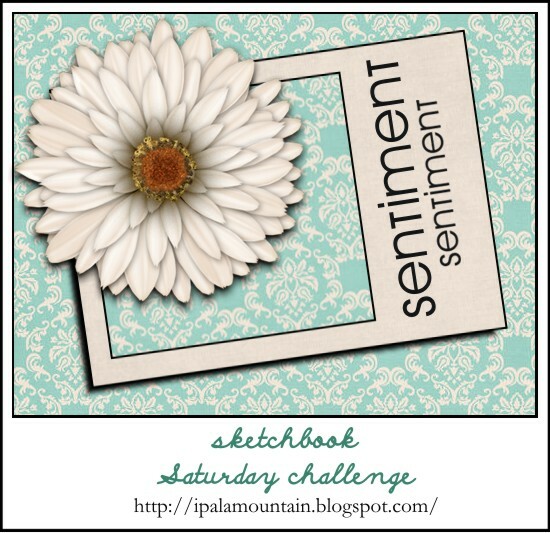 My card is for Chupa’s Sketchbook Saturday Challenge where she has come up with this interesting sketch. I flipped the sketch 90 degrees for my card. I’ve teamed this sketch with the colour challenge over at Dynamic Duos. I had it in my head that I was going to “vintage up” Gumball Green and Raspberry Ripple – I might stick with a Christmas card next time I come across these colours! We’re allowed a neutral for these challenges so I’ve gone with Crumb Cake. The designer series paper is a retired Stampin’ Up! one called Bella Bleu – I think I’ve only used this once before! I can’t believe I’ve not picked up Everything Eleanor! It’s so me! Beautiful Narelle! I love the vintage look of this card. Beautiful flowers..and that bow..amazing!! 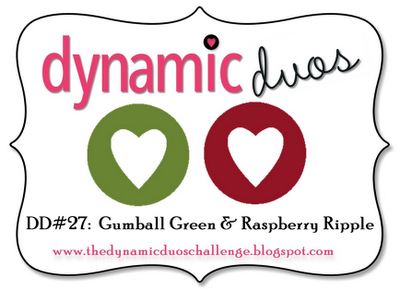 Thank you for joining us this week at Dynamic Duos. 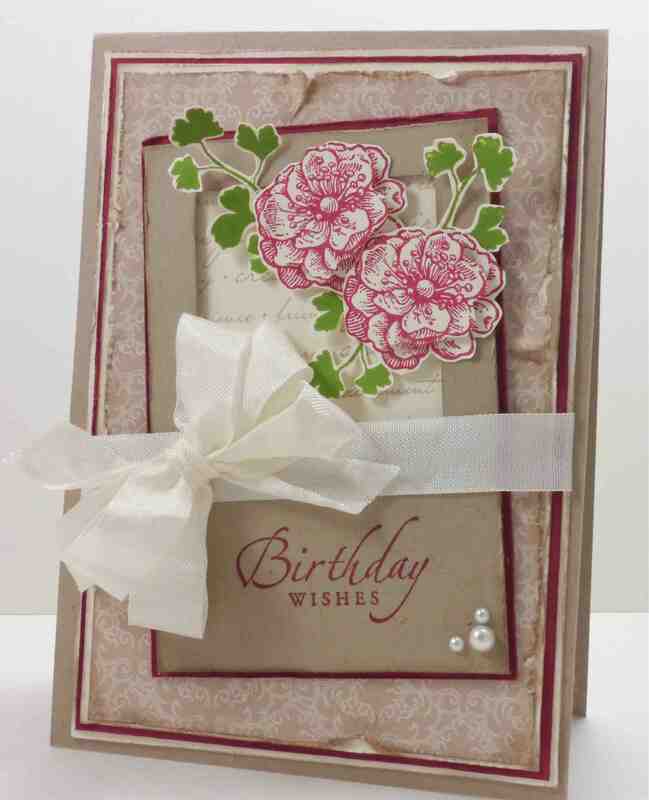 Hi Narelle, gorgeous vintage style card! I love the “window” behind the flowers, your gorgeous bow, and such a great job with all the fussy cutting. Hope you will join us again next time at Dynamic Duos.